It seems that the pieces for Google’s rumored set-top box are beginning to fall into place. 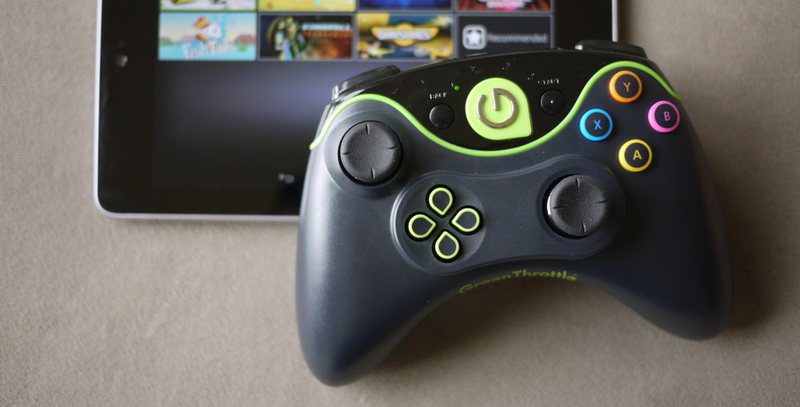 According to a report from Pando Daily, the search giant has purchased Santa Clara-based game developer Green Throttle Games for an undisclosed sum. An acquisition was speculated last November when Green Throttle Games unexpectedly pulled its game store app, Android Arena, from the Play Store, but Google didn’t confirm until today that it had acquired the company’s talent and assets. Launched in 2012 by two Palm employees and gaming industry veteran Charles Huang of Guitar Hero fame, Green Throttle Games’ focus was primarily on peripherals. The company sold a custom controller, the Atlas, which connected to an Android game store app via Bluetooth. One of the technology’s differentiating features was the ability to connect up to four controllers to one device; Android’s Bluetooth implementation normally only allows one device of each type to connect. If Google intends to launch a set-top box, it has its work cut out for it. Amazon, which is allegedly preparing to release a console of its own, purchased software developer Double Helix in February. Apple is also rumored to release a refreshed Apple TV with Time Warner Cable integration as soon as this April. Could a Nexus TV be in our future? We’ll probably have to wait until Google I/O on June 25 to find out.